It was just a few hours ago that we told you that Apple had patented new transparent texting system which would help users who walk while typing be more aware of their surroundings. If you thought the patent sounded like a great idea for a jailbreak tweak, you weren’t alone. 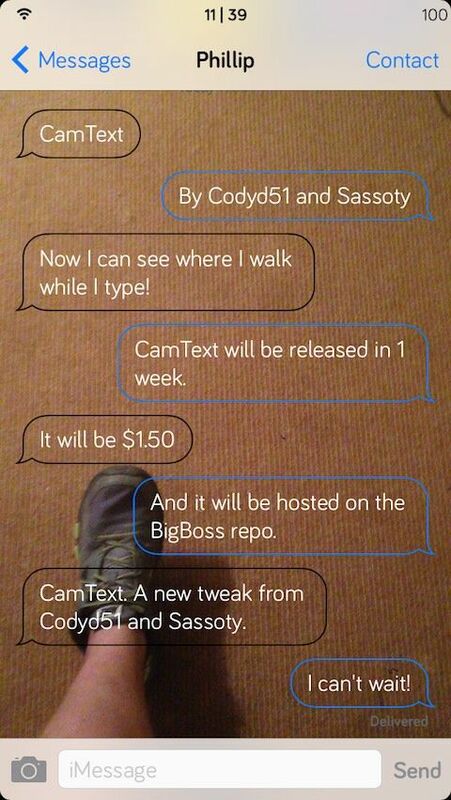 CamText is a new tweak for jailbroken devices that replaces the default Messages.app background with a live stream from your camera’s video feed. So if you have a jailbroken iPhone, why wait until iOS 8 to get Transparent Texting today? It’s fully compatible with both Messages and BiteSMS, although not the iPad. You can buy it through Cydia today for just $1.50.